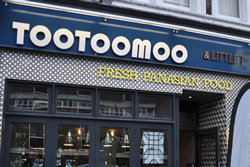 Tootoomoo’s flagship Crouch End restaurant has a brand new fresh and healthy Pan-Asian menu, where sharing plates take centre stage. 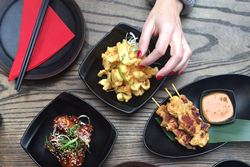 Whether popping in for dinner with friends or sipping your way through our inventive cocktail list, listen to the wok fire up explosive flavours and breathe in the scents of the spices at our little slice of Asia. 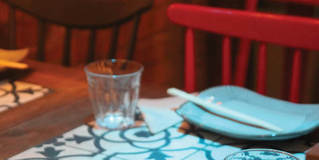 Explorer 5 Menu £28 5 dishes from Small Plates, Sushi, Tempura, Sashimi & Salads. The £5 Lunch Menu is Back! Looking for a light on the wallet lunch? From Friday to Sunday we’ve brought back our £5 Lunch Menu! 20+ of your favourite dishes for £5 or less from 12pm to 3pm.